Ever get adventure-hungry clients who want to see a destination on their own terms but still prefer a luxury experience? We’ve got just the thing! A self-drive itinerary is basically a road trip, with a few bits planned out as part of a package (because not being able to find a vacant hotel in the middle of the Canadian Rockies is no way to spend a holiday). All your clients have to do is get in the car, drive at their own pace, and explore each destination at their leisure. That’s right, there are no forced walking tours here – this type of itinerary means your client can choose exactly how they want to spend their holiday. At the end of the day, guests can relax in luxury in their carefully selected Canadian Rockies accommodation. Canada is one of the best countries for a road trip – mostly because it’s so large and the destinations are further apart compared to Europe or Asia, but also because driving a car around the country means endless photo opportunities, and unlimited stops to take in the spectacular beauty of the mountains and sparkling lakes along the route. And spoiler – guests stop basically all the time. Self-drive itineraries also make it feel like your clients’ very own, personal trip rather than a traditional group tour. And the best part? There’s a ton of different itineraries to choose from. 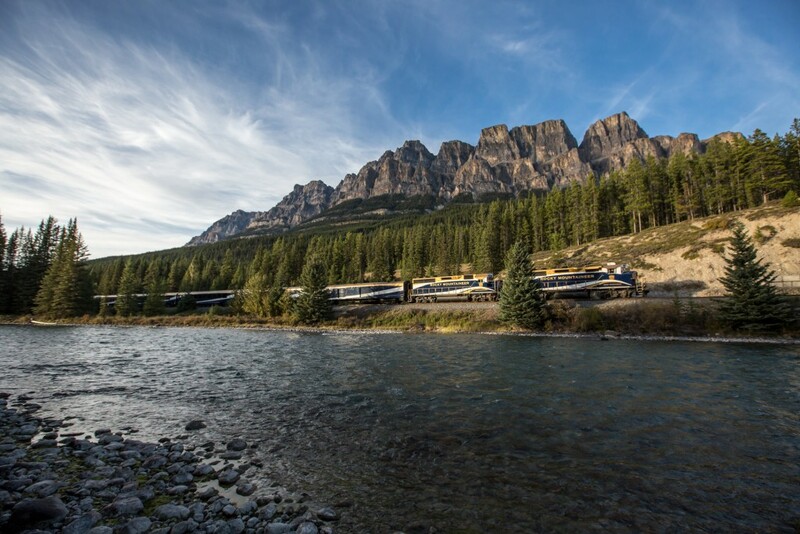 So hold on to your hats, because Rocky Mountaineer has some amazing self-drive itineraries – and boy do they sound good. 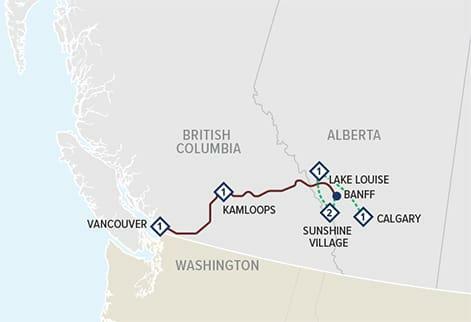 This itinerary starts from Vancouver all the way to the charming town of West Canmore – all with stunning views from the road, of course. 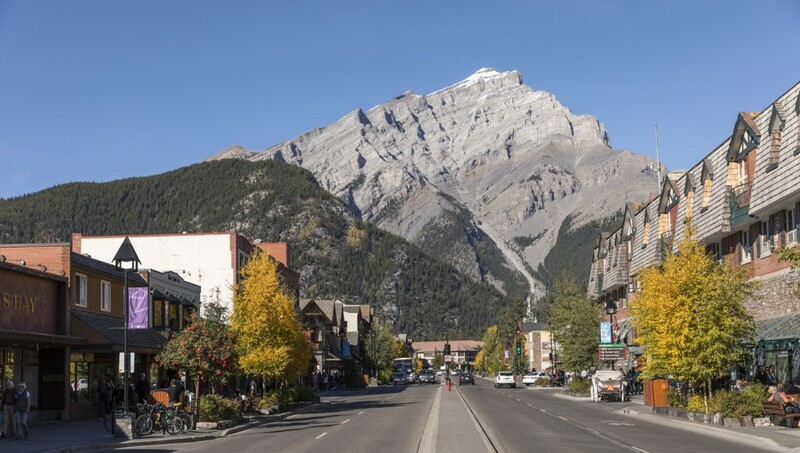 Just 20 minutes from Banff, this authentic mountain town offers stunning views and a laidback atmosphere where guests can hike, explore caves or discover unique restaurants and shops. Take in the one-of-a-kind boutiques, eclectic art galleries, stunning mountain views, or take a float down the Bow River or a scenic helicopter ride, this town is bound to have something for everyone. This seven-day itinerary includes two days onboard the fabulous Rocky Mountaineer train, where breakfast and lunch are included, plus accommodation in some stunning hotels along the way. 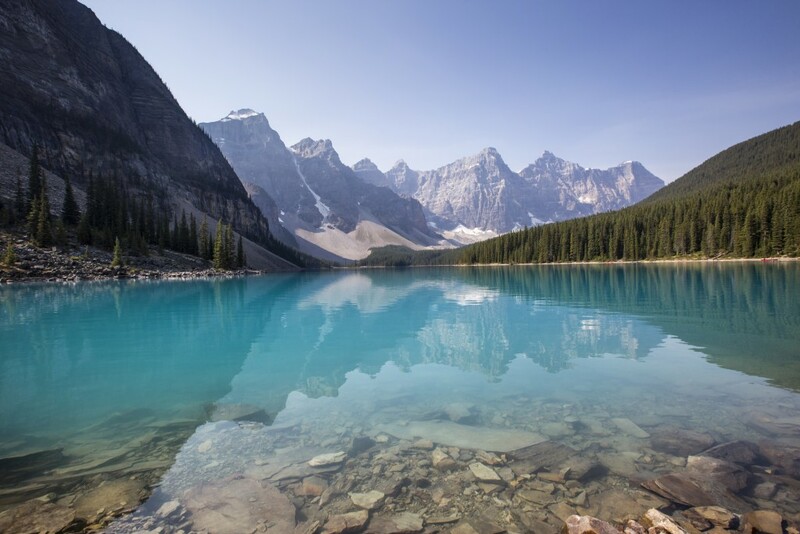 On this one-way journey, travel through Vancouver, Kamloops, Canmore, Lake Louise and Calgary – and see wonders like the Victoria Glacier, Banff National Park, Fraser Canyon and the lush, green, mountainous surrounds of British Columbia and Alberta. Sign us up! This itinerary goes from Calgary to Vancouver, across the border of British Columbia and Alberta and focusing on the lesser-known wilderness of Kananaskis. Sprawling across a spectacular mountain landscape, and just a 45-minute drive from Banff, Kananaskis encompasses several protected parks, unspoiled streams and untouched forest. It is the perfect place to hike, mountain bike, ride horses, play golf, or relax in the Nordic Spa. This itinerary is seven days and six nights – with two days spent onboard Rocky Mountaineer, gazing out at the stunning views. Accommodation is all included – and our top pick would be the Pomeroy Kananaskis Mountain Lodge, offering picture-perfect scenery and utmost relaxation from the indoor-outdoor pool. 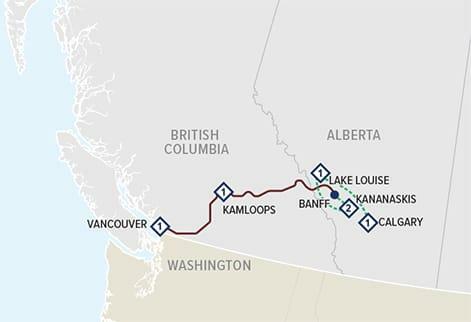 Other destinations along the way include Vancouver, Kamloops, Kananaskis, Lake Louise and Calgary. From Lake Louise, guests can enjoy a peaceful drive down Bow Valley Parkway for views of Castle Mountain and Johnston Canyon. With such gorgeous views, guests will have to remember to keep their eyes on the road. The final self-drive itinerary will take guests to the postcard-worthy town of Sunshine Village. Located in Banff National Park, Sunshine Village sits at an elevation of 7,200 feet with uninterrupted views of awe-inspiring mountain terrain. Known as Canada’s number one hiking area, Sunshine Village offers nature walks, gondola rides, biking, and hot springs. Perfect for active travellers wanting to avoid the crowd! This itinerary includes an overnight in one of the most photographed spots in the world – Lake Louise. Those wanting to have a more challenging hike while in Lake Louise, we recommend a hike up to Lady Agnes Tea House (one to two hours one way). More adventures await along the route! Think going up the Calgary Tower, gawking at the rushing waters of Hell’s Gate in the Fraser Canyon and checking out the picturesque views in Yoho National Park. There’s also two days onboard Rocky Mountaineer, with an option to start or end the journey in the cosmopolitan city of Vancouver. 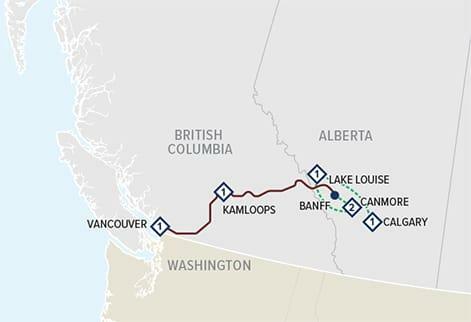 These itineraries are bound to sell fast, so we’d contact your preferred wholesaler or Rocky Mountaineer vacation consultant now if we were you.